inspiration including Van Gogh and Monet. These iris’s look fantastic! 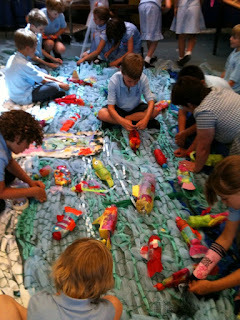 This entry was posted in artist in residence schools art workshops nina squire on July 13, 2010 by thepaste. 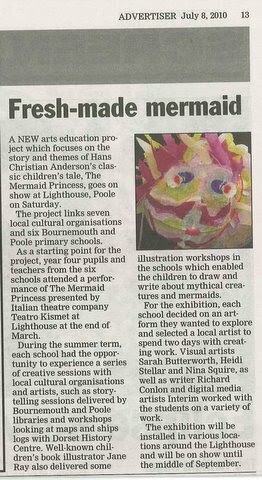 I was lucky enough to be selected to work as artist in residence with Stourfield Junior as part of The Mermaid Princess project with Poole Lighthouse. 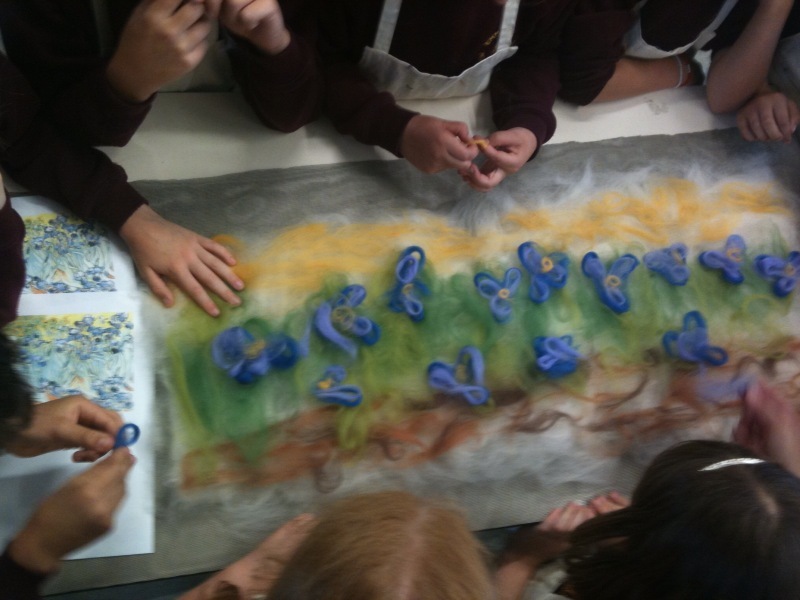 I was asked to design a wall hanging with the children that responded to the Italian theatre company, Teatro Kismet, production of The Mermaid Princess. 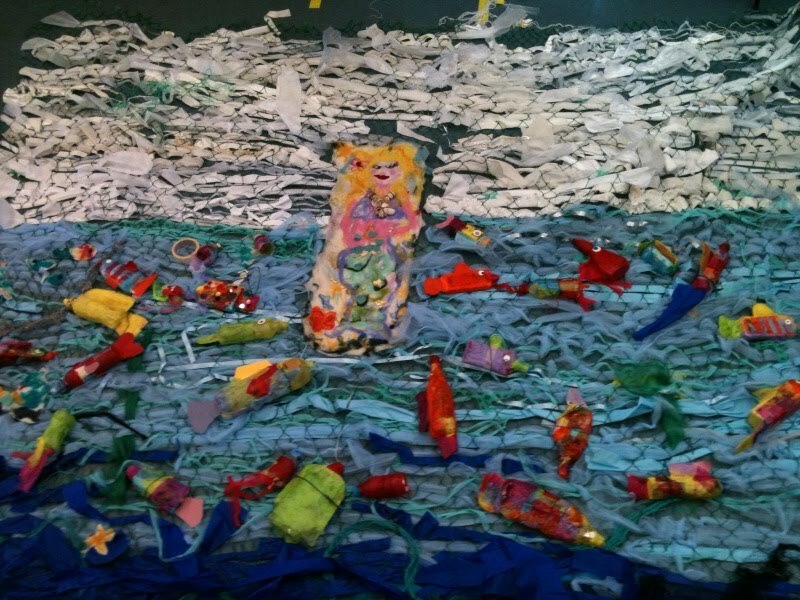 The children enjoyed the production and wanted to make a beautiful mermaid with a shoal of recycled fish alongside which was displayed with a beautiful woven background on an old fishing net. It was much bigger than we first thought it would be as the children loved weaving the net with the different materials to create the background – it just kept growing! 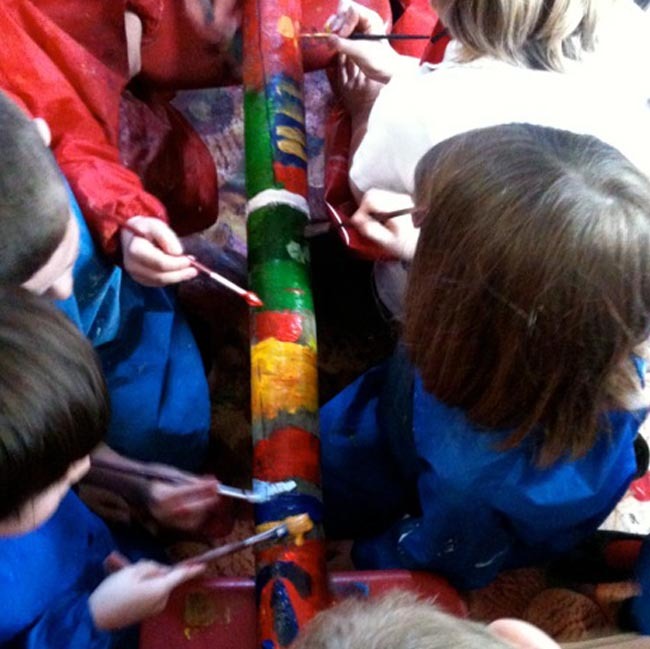 The final product looked fantastic and far exceeded my initial ideas, the children added so much more than I could I have ever imagined, their enthusiasm was amazing! If you get the chance to see it pop in, it’s on display along with other art products from other local artists from tomorrow until the middle of September. 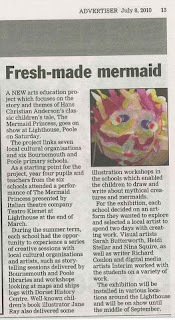 More information here The lighthouse poole. 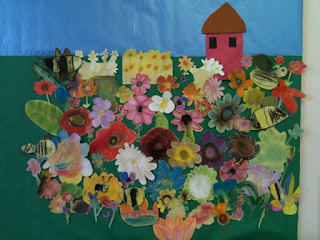 This entry was posted in artist in residence schools art workshops nina squire on July 9, 2010 by thepaste. I’ve been working with Hillview as artist in residence to make a collage out of the childrens pastel flowers as part of the terms ‘growing’ theme. I showed the children how to use the pastels and looked at a selection of flowers and these were the results! Thier flowers are nearly as colourful as the ones at Stewarts! 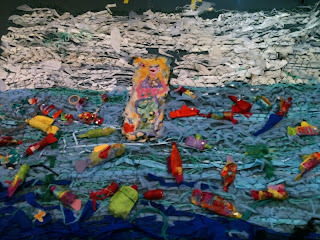 This entry was posted in artist in residence schools art workshops nina squire on May 12, 2010 by thepaste.